I would like to use Wistia videos in my mobile app developed using Nativescript & Angular. I am not sure whether we have any plugins already to use Wistia Videos. Any help is highly apreciated. Thanks ! Is there any player that uses wistia videos ? Or any possibility to use WebView for this ? For using API player we need to include some scripts. If its an angular application we an include these scripts in index page. 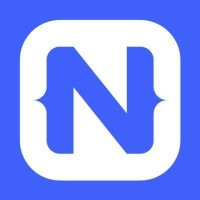 But in case of Nativescript how shall we do it. Do you have any code samples for this ? I did insert a webview and used below code. But unfortunately nothing happens. No error as well. But if i use same code inside a web application it works fine. Any idea ? Tried but unfortunately no changes. I can see my title “Wistia video below” in the screen, which means web view rendered fine. But just no video. Does it require any other library to be included? Nope. It doesn’t require any other library. Because if i include same code in a new web app in a simple html page it works fine. @imran2489 I gave it a try, it plays the video perfectly in iOS. But in Android in loads the video thumbnail but still doesn’t play. I suspect the issue with Android is that it uses android.webkit.WebViewClient, overriding that with android.webkit.WebChromeClient will solve the issue.